The top 1 percent of Americans control 40 percent of the nation's wealth. And, as Joseph E. Stiglitz explains, while those at the top enjoy the best health care, education, and benefits of wealth, they fail to realize that "their fate is bound up with how the other 99 percent live." 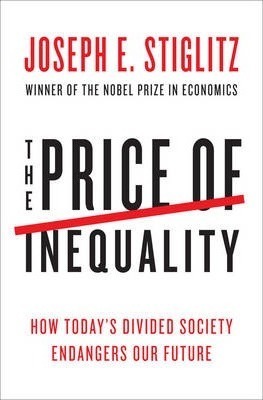 Joseph E. Stiglitz is a Nobel Prize-winning economist and the best-selling author of Globalization and its Discontents Revisited: Anti-Globalization in the Age of Trump, The Price of Inequality, and Freefall. He was chairman of the Council of Economic Advisers under President Clinton, chief economist of the World Bank, named by Time as one of the 100 most influential individuals in the world, and now teaches at Columbia University and is chief economist of the Roosevelt Institute.